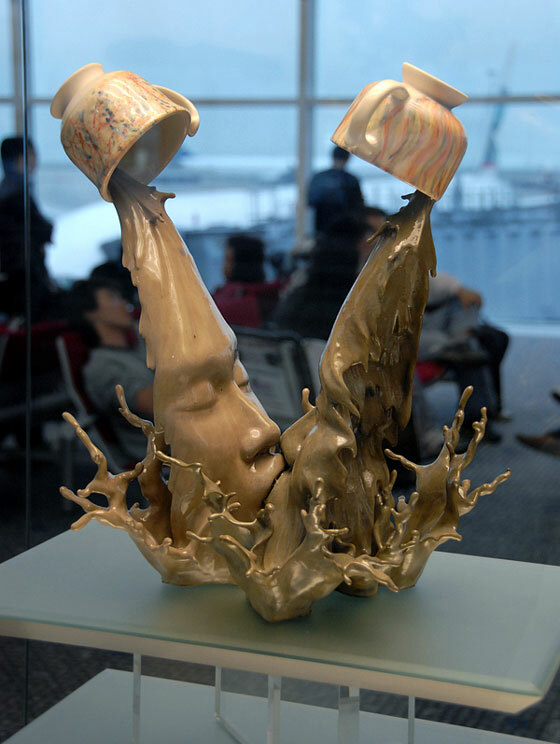 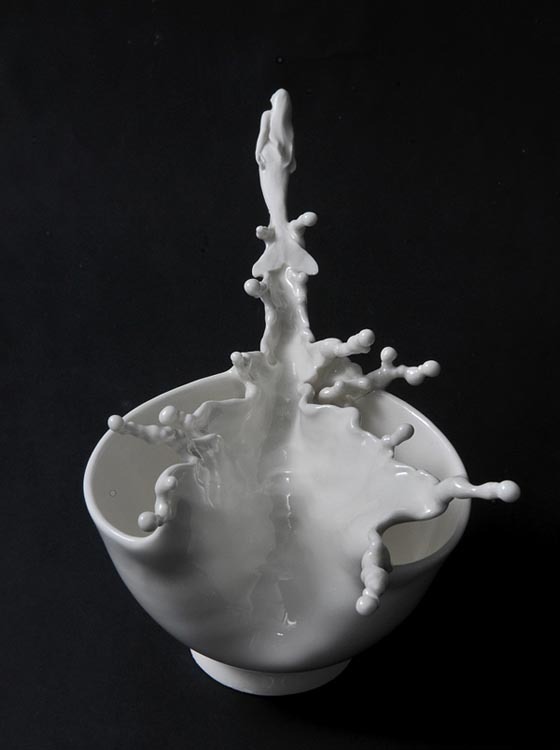 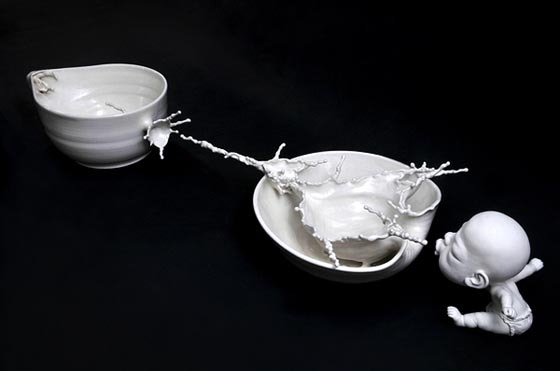 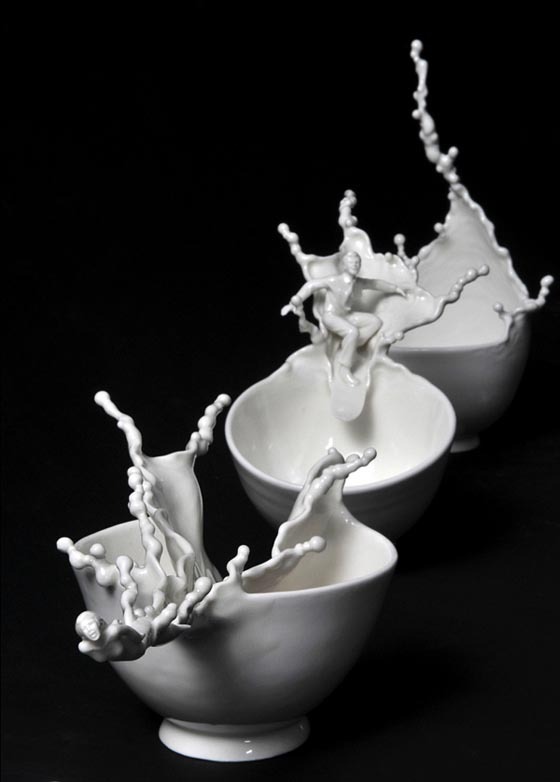 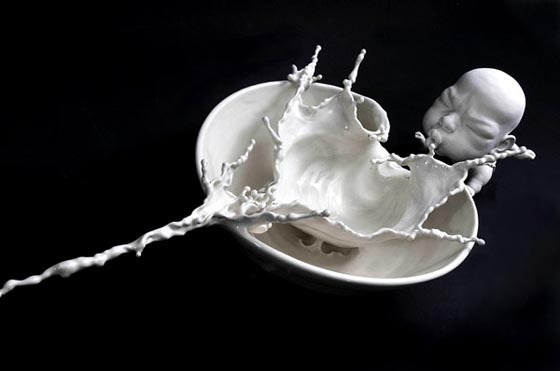 Years ago we featured one of the famous work from Hong Kong sculptor Johnson Tsang – “Ying Yeung“, a floating Coffee Kiss Sculpture (see photo below); and today we will bring you more stunning sculptures from Tsang. 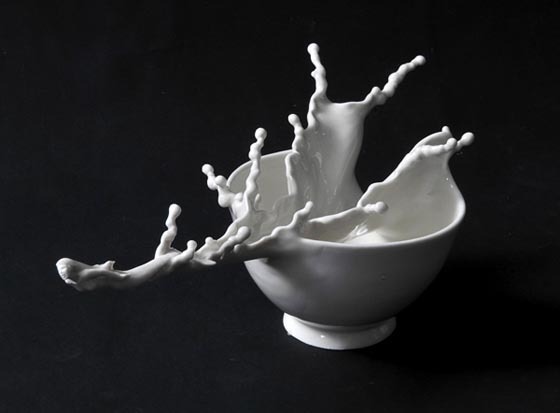 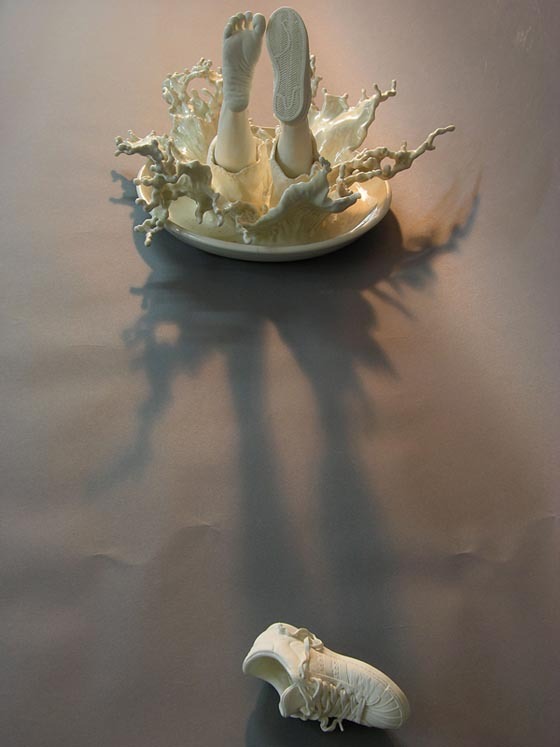 Generally, Tsang’s works mostly employ realist sculptural techniques accompanied by surrealist imagination, integrating the two elements, “human beings” and “objects”, into creative themes. 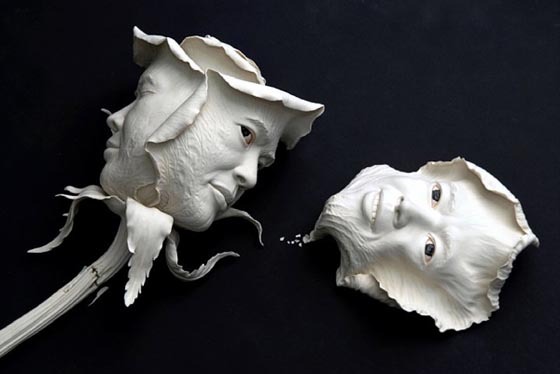 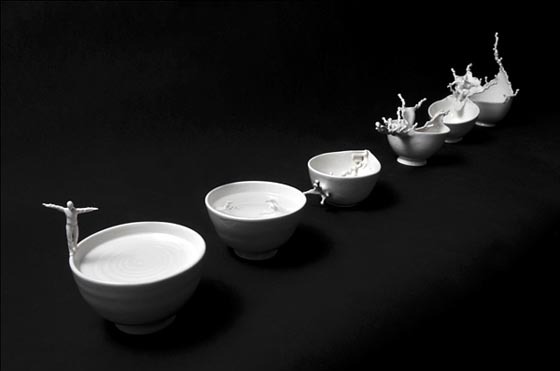 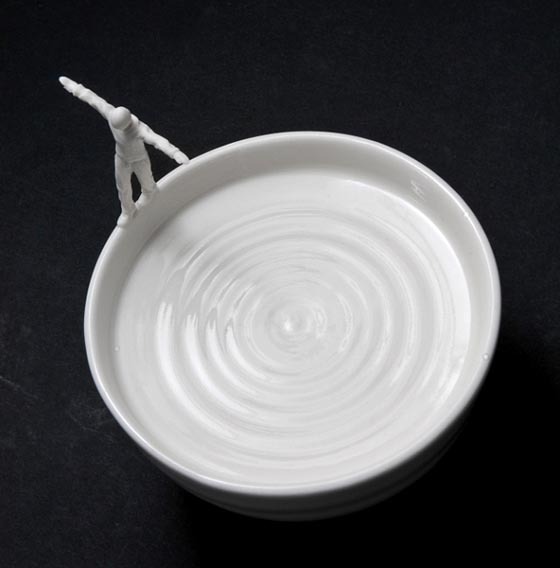 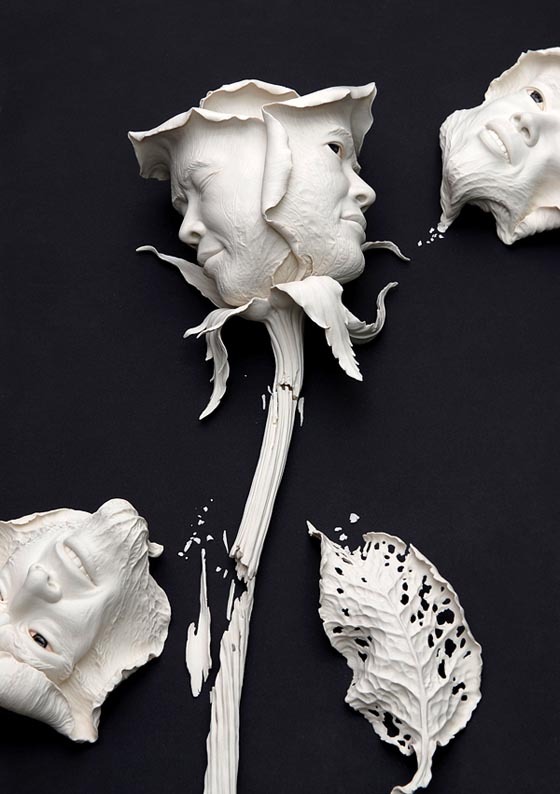 No matter the coffee kiss, flower head or those interest bowl series, Tsang’s creative sculptures blurs the line between abstract and figurative art and bring a whole new vision of the ceramic sculptures.